Okay, I’ll admit it, I have the travel bug. It started when I was young and my parents would load the four of us kids into the station wagon for a summer road trip. Living in Southern California presented us with a wide variety of beautiful destinations from the ocean to the mountains and everything in between. We made regular trips to Sequoia, Yosemite, Ventura, Arrowhead Lake Palm Springs and other local favorites. Every other summer we would venture on longer trips to see relatives in Minnesota (Mom’s) or Washington (Dad’s) which would require extended periods of time in the back seat sandwiched between my siblings. Our family couldn’t afford to fly and even into my forties I could count the number of times I had been on an airplane on just one hand. Still, I learned to enjoy the journey as much as the destination. There was always something new to see or experience. I took the love of the road into my own marriage and family. 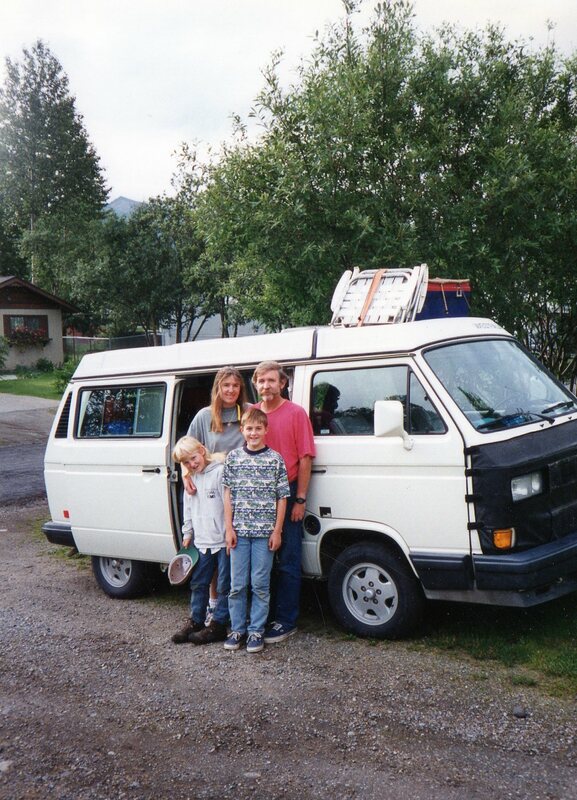 We traveled with our two kids primarily in our VW Van and later in our Vanagon camper. We camped in countless California State Parks and Beaches, took longer trips to National Parks like Glacier, Yellowstone, Grand Canyon, and Mt Rushmore, and still longer road trips to Denali (via the Alaska State Ferry) and Quetico Provincial Park in Ontario, Canada. We rarely stayed in hotels and the only time we flew together as family in those days was when we took a float plane to a remote cabin in the Chugach National Forest of Alaska. It didn’t feel like roughing it so much as it felt like we were experiencing these places on a much more intimate level. And, more importantly, I think it brought us closer together as a family. Now that the kids are grown, I can see that they have caught the travel bug as well. I love to hear about their adventures even as we continue to explore new places and revisit old favorites ourselves. Travel enriches our lives and helps us to better understand the world around us. This entry was tagged camping, Family, Grand Canyon, Mount Rushmore, National park, Ontario, Quetico Provincial Park, Southern California, travel, Volkswagen, Yellowstone National Park. Bookmark the permalink.